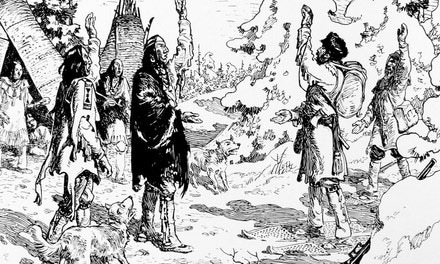 In 1669 two Sulpician priests, Francois Dollier de Casson and Rene de Brehant de Galinee left Montreal on a missionary exploration of the West by way of the Great Lakes. Dr. James H. Coyne has translated their narrative of the expedition with an introduction and explanatory notes which add greatly to the interest of the original story. 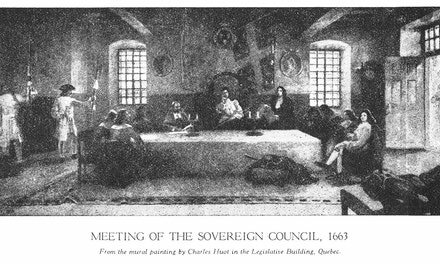 It was published by The Ontario Historical Society, Toronto. The party reached the neighbourhood of modern Port Dover on Lake Erie in the middle of October. Here, in a sheltered spot on Black Creek where it joins the River Lynn, they built a couple of small cabins wherein they spent the winter. On Passion Sunday, March 23rd, 1670, on the cliff overlooking the lake shore, they put up a cross bearing the Royal Arms and an inscription stating that they and seven other Frenchmen had been the first Europeans to winter there and that they had taken possession of the country in the name of Louis XIV. 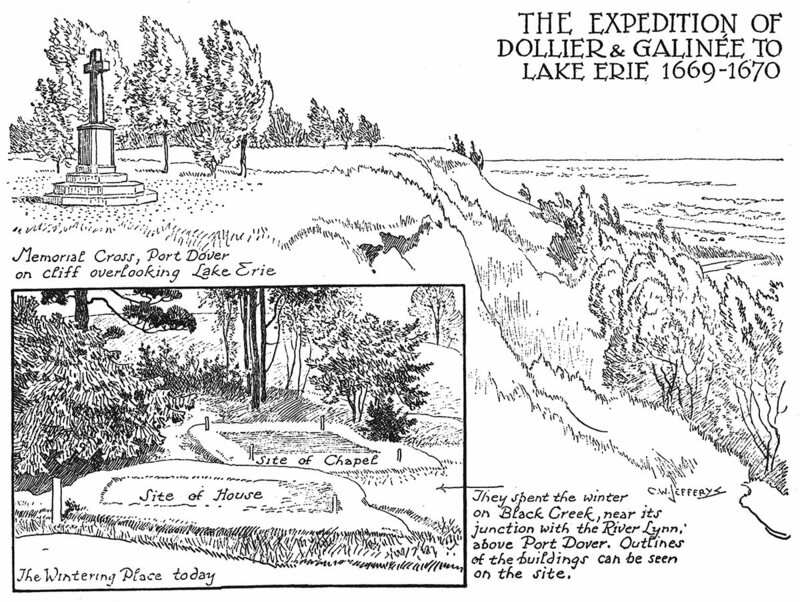 In 1922 the Sites and Monuments Board of Canada erected a memorial cross on the cliff to mark their discovery of the north shore of Lake Erie. Their journey took them as far as Sault Ste. Marie and from there back to Montreal by the Ottawa River after nearly a year's absence.